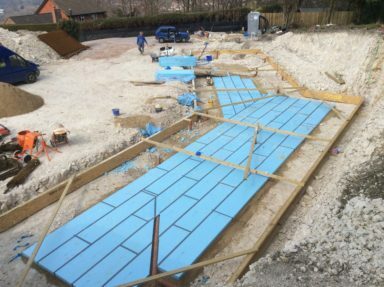 April 1st and it’s just over a month now until our timber framed eco house is delivered from Baufritz in Germany so it’s been wonderful watching the foundations going down. 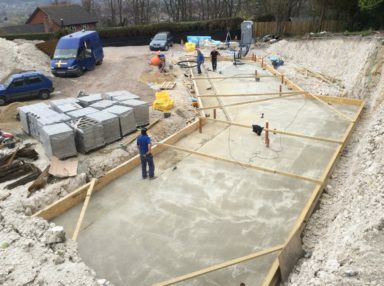 These photos show you what Joe, Sam and Graham have accomplished in ten days as they work tirelessly to prepare the site for the second pour this Friday. One of the three trucks we’ll be using for the concrete has done a practice run up to the site to check access and timing. Building on this site is not straightforward. 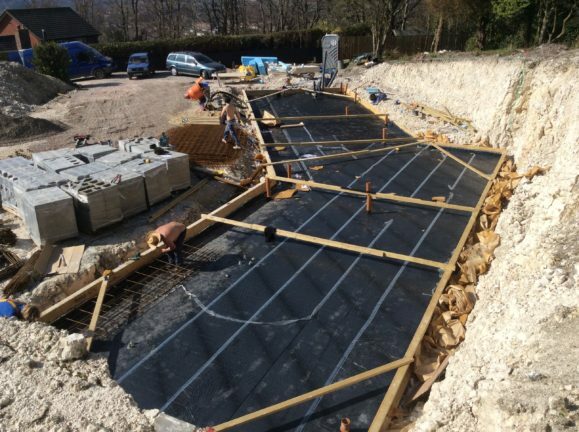 Great precision in logistics is needed; our groundworks team will be operating a relay system for the delivery of concrete, up the steep, narrow winding access road. It’s lovely that the weather has been warming up this week (and rain free, hurray!) 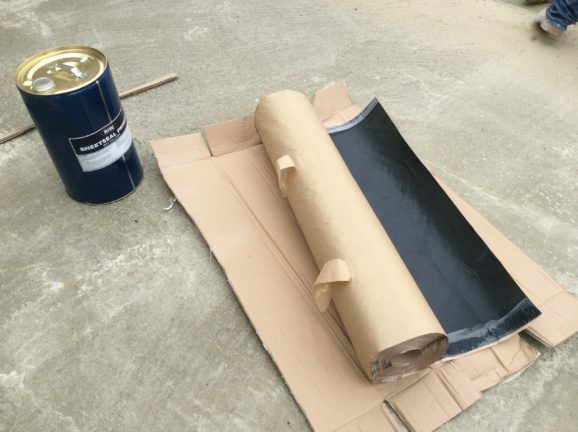 but not so lovely when it came to painting on the sticky Sheetseal primer and laying the black rubberised waterproofing membrane. By midday this had started to ‘melt’ making it much trickier for the guys to handle (an unfortunate April Fools’ joke?) 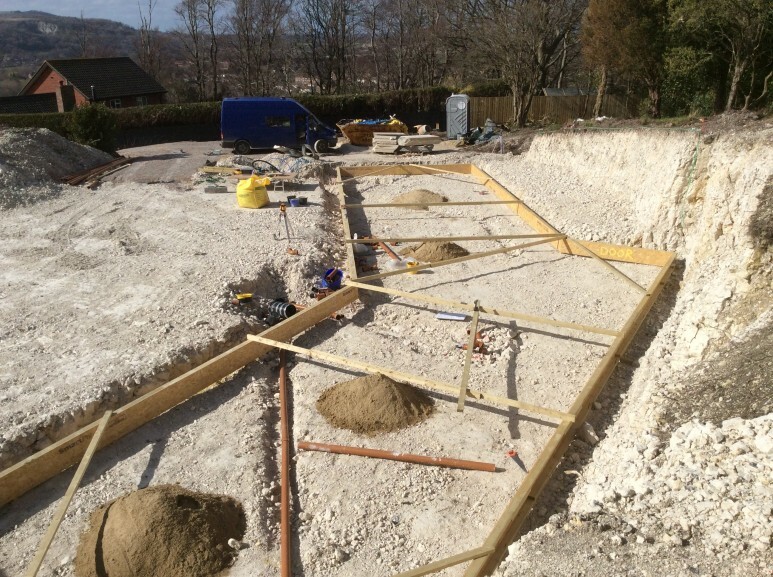 Uniquely, this house has four en-suite bathrooms, two kitchens, two utility rooms and two WCs, so add in the thirteen drainage points which had to be meticulously cut around and sealed and the whole waterproofing exercise became rather fiddly, to put it mildly. No wonder Sam and Graham got hot under the collar and stripped to the waist!